A street's uses, demands, and activities are subject to change over the course of a day. A street at rush hour behaves differently than it does at lunch hour, just as a street late on a Saturday night is used differently on Sunday morning. Street design should be sensitive to how streets operate across all hours of the day, for all users. While understanding peak periods of intensity is valuable, the design of a street or analysis of a corridor should always seek to balance needs and functions of different time periods. Vibrant cities are active 24 hours a day. Streets designed for peak intervals of traffic flow relieve rush hour congestion, but may fail to provide a safe and attractive environment during other portions of the day. Average Daily Traffic (ADT) and peak volumes alone do not reveal a street's utilization. Instead, consider multiple hours of travel and average traffic per lane. Peak congestion conditions are subject to adjustment, as drivers may change their behavior based on expected delay. Urban traffic networks and grids are flexible and resilient due to their inherent connectivity. 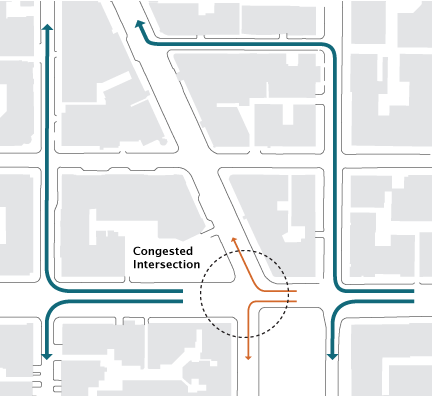 Design streets from a network perspective, considering turn restrictions and 1-way to 2-way conversions, as well as the overall distribution of congestion throughout the network. Consider the peak-time activities of pedestrians and bicycles as well as traffic. For pedestrians, peak hours often fall near lunchtime, while bicyclist peak hours typically follow a similar pattern to vehicle traffic, except in cases where demand for greenways or recreational centers peaks on weekends. Warrants for turning traffic often mandate the addition of left and right turn lanes to preserve high speeds for through traffic. Reallocate spacing for turn lanes within the existing right-of-way rather than widening the intersection. Traffic impact analysis statements typically require a study on how to accommodate peak hour volumes. Mitigate peak traffic using operational strategies rather than resorting to increased roadway capacity. Signals are adjusted to accommodate rush­hour traffic during the peak hour, metering traffic to prevent gridlock. 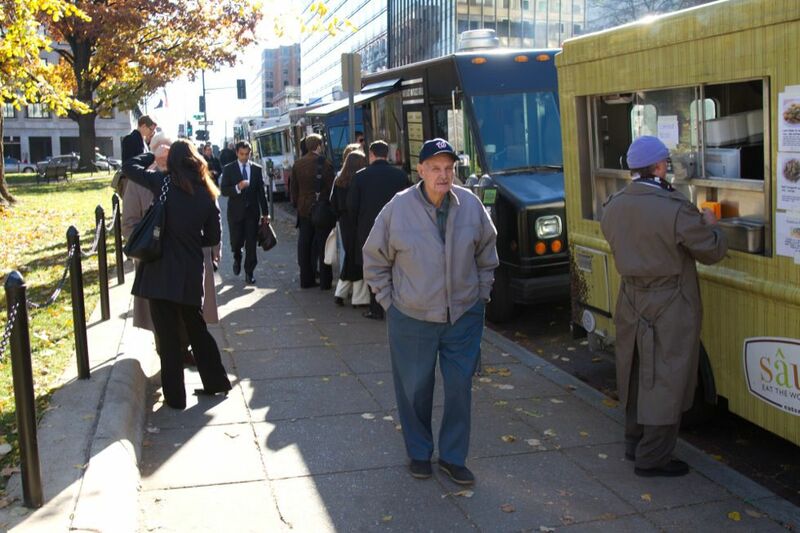 Downtown pedestrian volumes reach their peak intensity at lunch hour. Traffic volumes begin to dip in the evening after rush hour, while pedestrian traffic in certain areas begins to rise. Analyze peak points of stress within the overall context and changing use of the street. Collect multi-modal data over 2–3 hours of peak traffic activity to better understand how traffic behaves through an entire rush hour period. Residential areas should be designed to enhance the public realm during off-peak hours, while retail corridors may require sidewalk design parameters that accommodate pedestrian flows on weekends and holidays. Transit priority lanes and parking lanes may be governed flexibly throughout the day, with curbside bus lanes being converted to parking on weekends or dedicated loading zones at early morning hours. Use signal timing or transportation demand management to shift congestion rather than relying upon capacity increases. Utilize performance measures that demonstrate overall corridor travel times as opposed to specific intersection peak level of service only. Peak-hour parking restrictions for general purpose travel should be limited or converted to other uses. Peak-hour lanes in urban areas, especially those that are directly next to the pedestrian's path of travel, should be avoided. Peak-hour parking restrictions also limit the use of many other beneficial treatments, such as curb extensions, parklets, and bikeways. Washington, D.C. During peak hours, this 4-lane road becomes a 6-lane road, adding 50% more capacity but reducing opportunities for the 20 non-peak hours per day. Analyze streets for all users at both peak and off-peak times to understand their needs and uses within the system. 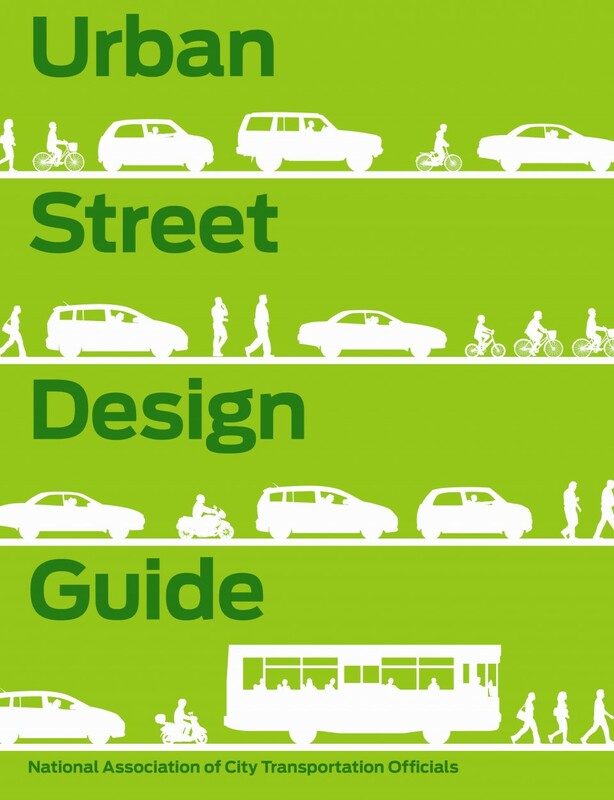 Based on these analyses, explore reallocation and street management tactics such as temporary pedestrian streets to better take advantage of the rights-of-way over the course of a single day, week, or year. To solve peak hour congestion at one location, look for solutions at the network level. Restricting turns at some locations or removing turn restrictions elsewhere in the grid funnels traffic onto alternate, less congested routes. Restrict parking in favor of high-activity loading zones during morning hours to avoid double-parking on major commercial streets. Implement combined High-Occupancy Vehicle (HOV)/transit lanes on heavily traveled corridors where HOV traffic would not interfere with transit operations. The phenomenon of traffic evaporation is the flip side of induced demand. When road diets occur, drivers choose an alternate route or even an alternate mode. S. Cairns, S. Atkins, and P. Goodwin, “Disappearing traffic? The story so far,” Municipal Engineer 151 (2001): 13–22. DDOT (Washington, D.C.) Comprehensive Transportation Review Manual requires project applicants to collect traffic data from 7–10 AM and 4–7 PM. DDOT Guidelines for Comprehensive Transportation Review (CTR) Requirements (Washington, D.C.: District Department of Transportation, 2012). Data collected by the Pima Association of Governments. “Annual Traffic Count Program,” Pima Association of Governments, accessed June 3, 2013. DDOT's Comprehensive Transportation Review Manual states that any proposed changes to roadway geometry must not add delay to other modes. Project applicants must show how a project affects bicycle, pedestrian, and transit travel. The city of Baltimore's Traffic Impact Study guidelines require that project submissions include counts for pedestrians and cyclists as well as vehicles. Procedures and Requirements for Conducting a Traffic Impact Study in Baltimore City Pursuant to Ordinance 06–45 (Baltimore: Baltimore City Department of Transportation, 2007). An estimate of the cost of adding a lane, including new curb and sidewalk, to an urban arterial ranges from $1.65 million [Roadway Cost Per Centerline Mile (Tallahassee: Florida Department of Transportation, 2012). ], to $4 million [Houston's Travel Rate Improvement Program: “Toolbox” of Improvement Strategies (College Station: Texas A&M University, 2001).]. Baltimore City Department of Transportation. Procedures and Requirements for Conducting a Traffic Impact Study. Baltimore: 2007. Cairns, Sally, Stephen Atkins, and Phil Goodwin. "Disappearing Traffic? The Story so Far." Proceedings of the Institution of Civil Engineers-Municipal Engineer (2002): 151(1), 13-22. California Department of Transportation. Guide for the Preparation of Traffic Impact Studies. California: 2002. Dey, Soumya, Jianming Ma, and Tusuf Aden. “Reversible Lane Operation for Arterial Roadways: The Washington, DC, USA Experience.” Institute of Transportation Engineers Journal (2011): 81(5), 16-35. District Department of Transportation. Comprehensive Transportation Review Manual. Washington D.C.: 2012. “Dynamic Lane Reversal in Traffic Management.” Paper presented at the IEEE Intelligent Transportation Systems Conference (ITSC), Washington, D.C., October 5-7, 2011. Hausknecht, Matthew, Tsz-Chiu Au, Peter Stone, David Fajardo, and Travis Waller. “Dynamic Lane Reversal in Traffic Management.” Paper presented at the IEEE Intelligent Transportation Systems Conference (ITSC), Washington, D.C., October 5-7, 2011. IBI Group. Berkeley Downtown Area Plan Program Environmental Impact Report: Traffic Impact Analysis. Berkeley: 2009. Masek, Chris and Nancy Nihan. “Impacts of Traffic Restrictions and Infrastructure Improvements on Downtown Peak Hour Congestion: A Synchro Analysis for Bellevue, Washington.” Seattle: Department of Civil and Environmental Engineering, University of Washington, 2009. New York City Department of Transportation. 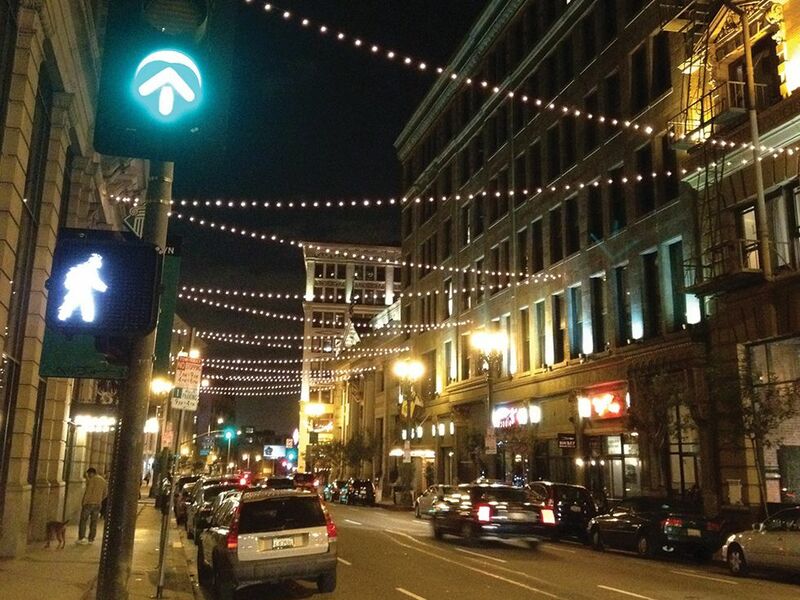 Green Light for Midtown Evaluation Report. New York: 2010. Pima Association of Governments. “Annual Traffic Count Program.” Tuscon: 2010. Schrank, David, Tim Lomax, and Bill Eisele. “TTI'S 2011 Urban Mobility Report.” Texas: Texas A&M Transportation Institute, Texas A&M University System, 2011. Tarko, Andrew P., and Rafael I. Perez-Caragena. “Variability of a Peak Hour Factor at Intersections.” Paper presented at the 84th Annual Meeting of the Transportation Research Board, Washington, D.C., January 9-13, 2005. Washington State Department of Transportation. Peak Hour Report 2012. Washington: 2012. Winick, Robert M., Deborah Matherly, and Dane Ismart. “Examining the Speed-Flow-Delay Paradox in the Washington, DC Region: Potential Impacts of Reduced Traffic on Congestion Delay and Potential for Reductions in Discretionary Travel during Peak Periods.” Federal Highway Administration Report FHWA-HOP-09-017 (2008): 1-80. Staley, Samuel R., and Adrian T. Moore. “Practical Strategies for Reducing Congestion and Increasing Mobility for Chicago.” Reason Foundation. Chicago: 2012. Texas Transportation Institute, Texas A&M University System. “’Toolbox’ of Improvement Stategies.” Houston’s Travel Rate Improvement Program. Houston: 2001. Xue, D. and Z. Dong. “An Intelligent Contraflow Control Method for Real-Time Optimal Traffic Scheduling Using Artificial Neural Network, Fuzzy Pattern Recognition, and Optimization.” IEEE Transactions on Control Systems Technology (2000): 8(1), 183-191. References for Design Hour: 17 found. Xue, D & Z Dong. "An Intelligent Contraflow Control Method for Real-Time Optimal Traffic Scheduling Using Artificial Neural Network, Fuzzy Pattern Recognition, and Optimization." Transactions on Control Systems Technology 8(1), 183-191, IEEE Control Systems Society, New York, NY. Pima Association of Governments. "Annual Traffic Count Program." Transportation Planning Division, Pima Association of Governments, Tuscon, AZ. California Department of Transportation. "Guide for the Preparation of Traffic Impact Studies." Department of Transportation, State of California, Sacramento, CA. District Department of Transportation. "DDOT Guidelines for Comprehensive Transportation Review (CTR) Requirements." District Department of Transportation, District of Columbia, Washington, DC. Cairns, Sally, Stephen Atkins, & Phil Goodwin. "Disappearing Traffic? The Story so Far." Institution of Civil Engineers, Institution of Civil Engineers, London, EN. IBI Group. "Berkeley Downtown Area Plan Program Environmental Impact Report: Traffic Impact Analysis." Transportation Division, City of Berkeley, Berkeley, CA. Hausknecht, Matthew, Tsz-Chiu Au, Peter Stone, David Fajardo, and Travis Waller. "Dynamic Lane Reversal in Traffic Management." Presented at the IEEE Intelligent Transportation Systems Conference, Institute of Electrical and Electronics Engineers, Washington, DC. Winick, Robert M, Deborah Matherly, & Dane Ismart. "Examining the Speed-Flow-Delay Paradox in the Washington, DC Region: Potential Impacts of Reduced Traffic on Congestion Delay and Potential for Reductions in Discretionary Travel during Peak Periods." Federal Highway Administration Report FHWA-HOP-09-017, 1-80, US Department of Transportation, Washington, DC. New York City Department of Transportation. "Green Light for Midtown Evaluation Report." New York City Department of Transportation, City of New York, New York, NY. Texas Transportation Institute. "Houston’s Travel Rate Improvement Program: ‘Toolbox’ of Improvement Strategies." Texas Transportation Institute, Texas A&M University System, College Station, TX. Masek, Chris and Nancy Nihan. "Impacts of Traffic Restrictions and Infrastructure Improvements on Downtown Peak Hour Congestion: A Synchro Analysis for Bellevue, Washington." Department of Civil and Environmental Engineering, Transportation Northwest, University of Washington, Seattle, WA. Staley, Samuel R, & Adrian T. Moore. "Practical Strategies for Reducing Congestion and Increasing Mobility for Chicago." Reason Foundation, Los Angeles, CA. Baltimore City Department of Transportation. "Procedures and Requirements for Conducting a Traffic Impact Study in Baltimore City, Pursuant to Ordinance 06-345." Department of Transportation, City of Baltimore, Baltimore, MD. Dey, Soumya, Jianming Ma, and Tusuf Aden. 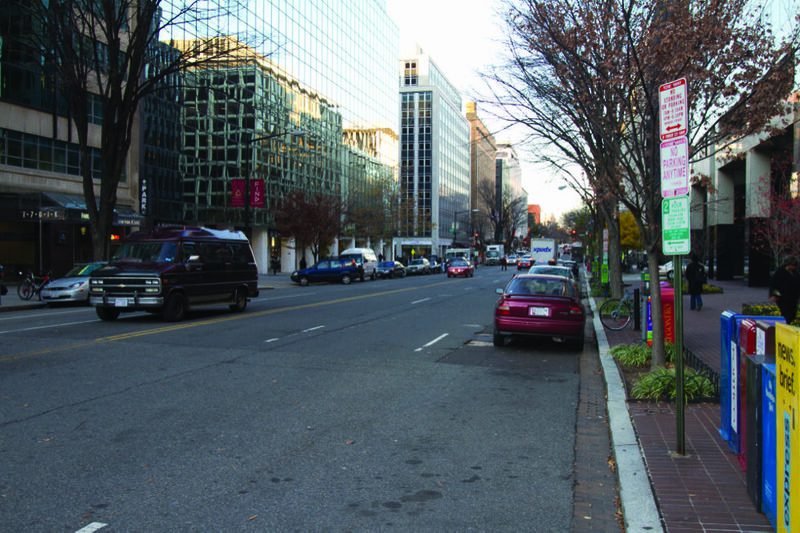 "Reversible Lane Operation for Arterial Roadways: The Washington, DC, USA Experience." Institute of Transportation Engineers Journal, Institute of Transportation Engineers, Washington, DC. Schrank, David, Tim Lomax, & Bill Eisele. 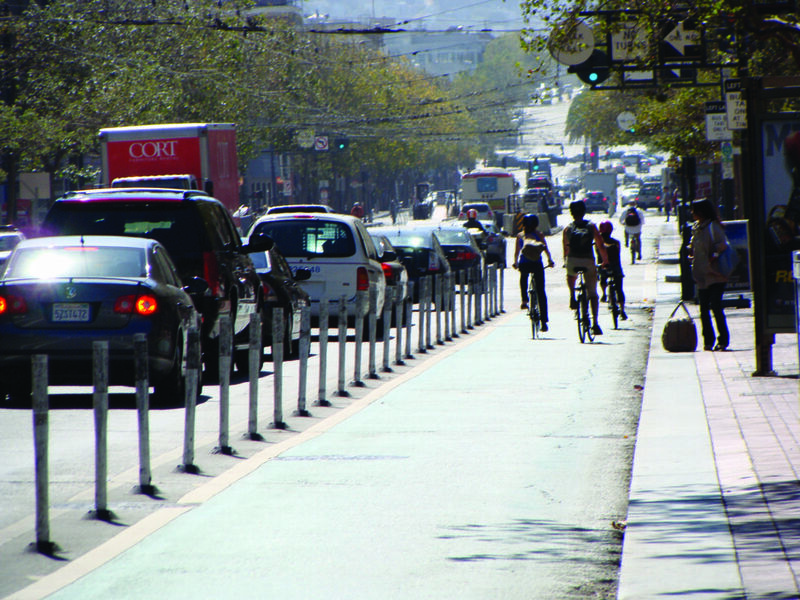 "2011 Urban Mobility Report." Texas Transportation Institute, The Texas A&M University System, College Station, TX. Tarko, Andrew P & Rafael I. Perez-Caragena. "Variability of a Peak Hour Factor at Intersections." Paper presented at the 84th Annual Meeting, Transportation Research Board, Washington, DC. WSDOT. "Peak Hour Report 2012." Statewide Travel Collision Data Office, Washington State Department of Transportation, Olympia, WA.